Q: When will Turnaround Jake be released? Estimated date? Business man loses everything and find family we never knew anything about. When and is there going to be a sequel to the movie. I feel like this movie as Emma said in the movie a "real life movie" and really makes you think of how you can lose where you came from sometimes and you always need to take a break and spend time with family and old friends. This movie was a really well put together movie and enjoyed it a lot.... can't wait to see if there is a sequel. In the beginning the movie felt very boring and tiring. I feel it could be more up beat and it sounded sort of quiet. If you make a sequel can you please make if so that the beginning feels like its taking forever to start. they do a good job in casting the kid Emma is really resembled the parents well. 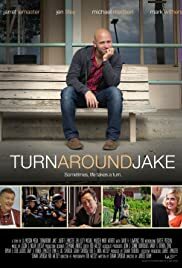 I also hope that when or if they make a sequel they will introduce more characters from Jake's past life at hope and really shore Emma grow up. and show possible Jake having a kid. Or getting married. There are so many ways they could take this movie in positive ways. but over all i feel this movie puts out good message to viewers giving them a thought to re think some of the things they do / act on and help themselves get closer to family and old friends.